After releasing his first EP in 2017, XavierTheRapper hasn’t taken a break. Appearing on every music platform you could imagine, as well as releasing 43 additional tracks (yes, you read that right, 43 additional tracks), XavierTheRapper has just now released 8 Man in early August. 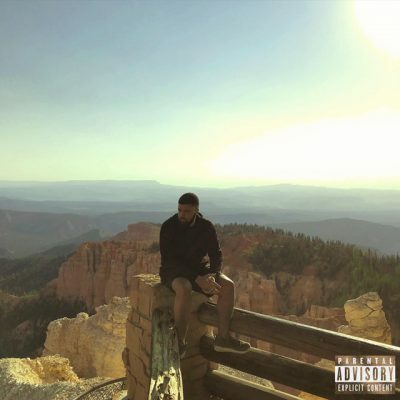 The album’s execution and quality really start to back up and prove why XavierTheRapper holds the titles of 8God and “Utah’s next mainstream recording artist.” 8 Man clicks off with some flair and flavor with the aptly named “Caliente,” a track opening with a great flamenco-style sound that quickly transforms into a trap beat as Xavier’s vocals come in. The mood of 8 Man changes as “Caliente” becomes “Pain,” a more somber track with slow vocal samples, acoustic guitar and a heavy beat. Pain covers feelings of depression and anxiety, and as you listen through the rest of the tracks on this album, those themes carry through some of his most outstanding work. The slower tone continues with the eerie and spacey “Fireman,” which comes in with one of the smoothest beats I’ve heard this year. As “Fireman” fades, 8 Man enters its crown jewel and the track that is gaining XavierTheRapper the most traction, “Won’t Change.” It’s a song about depression, feeling stranded and lost. These are themes that are not only resonating with people but also fit in with the modern scape of mainstream hip-hop. 8 Man closes off with “Boss Crown,” a freestyle on the album’s most mainstream-sounding beat. This is an interesting choice, but I think ending an EP with a freestyle that shows his lyrical chops pays off.